What Caroline Currid started, Tony Óg Regan will continue. The former Galway hurler replaced Currid as performance psychology coach to the Limerick hurlers earlier this year. Initially, when Currid became a backroom team member two years ago, the Limerick panel was yet to be convinced about the benefits of sports psychology. 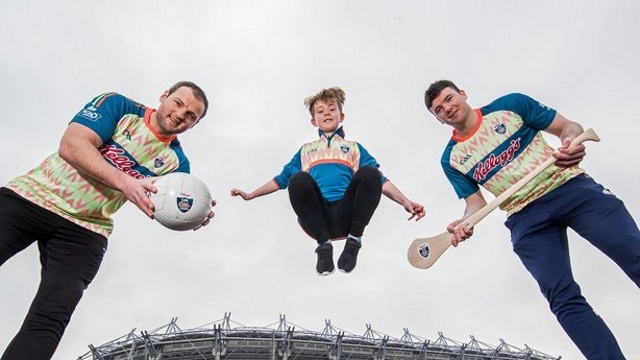 "Caroline converted us, yeah, she was fantastic," says Limerick captain Declan Hannon, speaking at the launch of the 2019 Kellogg's Cúl Camps. "I suppose I wasn’t really [into it] before, maybe a bit more now. Different things in preparation, everything like that, there’s massive benefits to having a sport performance coach. They’re excellent at what they do, and it’s the small things, they pick up on everything. Previously I might have said ‘aw I’ll be grand’, but you might not always be grand. "In the preparation I suppose, and how you block out any outside influences, it’s probably one of the main ones to be honest. Maybe in years gone by Limerick got carried away with what people said in the media or what fans were saying, it’s kind of irrelevant at the end of the day. We have to go onto the pitch and do what we have to do. People could tell you go left and you’d go right or whatever, we kind of just focus more on ourselves." Regan is part of large backroom team which manager John Kiely has assembled, one so big Hannon fears he might not be able to name everyone if asked. John is an excellent manager and he has very good people skills. He's put in an unreal structure there. There's so many people involved in the backroom team that it's frightening trying to name them out, you'd be under a bit of pressure to remember them all. In terms of stats and video analysis teams and everything like that - I presume it's the same on every county team - that's just the way it's gone over the past number of years. John has assembled a really good bunch of guys. That backroom team supports a hugely competitive panel which has allowed Limerick to continue seamlessly from winning the All-Ireland in August to winning the National League late last month. "It's been great, we've had nearly 40 players training away and a lot of them got game time during the league," says Hannon. "There's massive competition for places all over the field. Anyone who's sitting on the sideline looking in is thinking 'how am I gonna get my position back in this team?’ And that goes for everybody, it doesn't matter how long you've been there or how many games you've played. From a winter as All-Ireland champions, Hannon has plenty of memories to savour. He picks bringing the Liam MacCarthy Cup back home as his favourite. "It's going back to Adare, the homecoming on the Tuesday night, it was unreal. It was on in my old primary school, the pitch out the front and there were thousands upon thousands there. That's something you'll never forget but you have to move on. It would be great if we could do it again in 2019 but it's a long way away." For a panel so young, Limerick have handled All-Ireland success well. "They’re a very mature group," tells Hannon, himself only 26, "all well educated, all gone to college." "They’re very, very down-to-earth lads as well. They’re happiest when they’re on the training field and playing matches, and they know if anything went to their head, they’d be knocked down straight away. "You could get carried away if you wanted, but you won’t be starting. You’d be focused on different things. That’s the way it is. That’s the competitiveness that’s in the panel at the minute. It’s great." All in all, being a Limerick hurler at the moment is a lot of fun. "It is, it's good craic!" says Hannon with a large smile. "The boys, a lot of them are so young and free-spirited, they enjoy the craic off the field and in the dressing room."